For busy youth workers needing a foundational resource for planning an entire year of youth worhsip services. Each week is packaged with dynamic "kids-talk" sermons, plus suggestions for energy packing songs and activities. Mid-week lessons are teaser introductions for the upcoming Sunday lesson. Accompanying CD-ROM enables the children's worker to customize and print lessons with their word processor and provides access to the Bible in the NKJV translation. 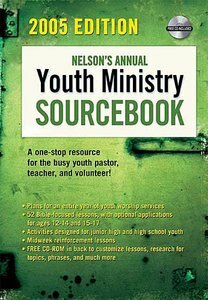 About "Nelson's Annual Youth Ministry Sourcebook (2005 Edition)"